Community Self Storage has served McHenry & Kane County since 1978. Visit one of our two locations today. We offer temporary storage for every life event may come your way. Community Self Storage serves the Del Webb community in Huntley IL. Call today for our storage rates. Reserve a Storage Unit Today. Click Here to Get Started. EMAIL, TEXT OR CALL US FOR STORAGE UNIT AVAILABILITY NOW! 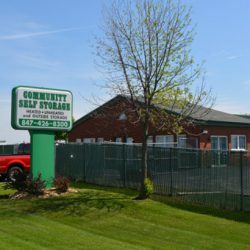 If you are looking for trustworthy self storage space in the Gilberts or McHenry, IL area, then come visit Community Self Storage. We have secured storage space available for whatever you want to store. We have both indoor storage units for household items and smaller items, and outdoor storage for vehicles and bigger items. We have the greatest and lowest prices for storage space in both Gilberts and McHenry, IL. We can store anything from your household items to your vehicles. My husband and I had a large storage unit at Community Self Storage for about 6 years! Whenever we needed to get into our unit we never had a problem entering the facility,no matter what time of day or time of year it was! In the winter time when we needed to get our snowblower after huge snowstorm, the entire lot was cleared of the snow and we were able to get to our unit to retrieve our snowblower for the season! The staff has always been extremely friendly and helpful. We will continue to refer people to this wonderful family owned facility! I have a storage unit for over ten years. The owner has been a pleasure to work with. The location well taken care of. I would highly recommend. 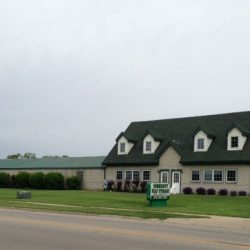 We use Community Self Storage in McHenry for our business storage. Very happy with their customer service and never had a bad experience dealing with them all of these years. Thanks! We regularly use Community Self Storage in Gilberts to store our Boat every winter. Top notch service. Very happy. Thanks Community Self Storage for your help during our difficult time. My husband recently passed and we were moving away from Del Webb to go to Arizona. I couldn’t part with some of his things before we listed the house and we used them to store it. They were very kind to me during my transition. Community Self Storage helped store my stuff while I was on duty for 2 years. They really helped me out when I was away. Thanks. We used Community Self Storage in Gilberts to store our household belongings while we were moving into Talamore in Huntley. The people working there couldn’t be nicer and were very helpful in getting us setup with a unit. Great experience. © 2016 Community Self Storage.